WHEN I turned 23 a few months ago the Governments warnings over obesity finally had an effect and I decided it was time to take control of my health. After four student years where my diet consisted mainly of cheap wine and kebabs, I needed to take responsibility for the damage I was doing to my body. A fundamental part of that damage was the fact that I had not exercised since the 1990s. So I did what anyone would do after such an epiphany and started spending £30 a month on gym membership, which was effective but very little fun. Then Sport England sent me a list of activities happening literally on the doorstep and I decided to try something that sounded more enjoyable than the treadmill at the local gym — trampolining. 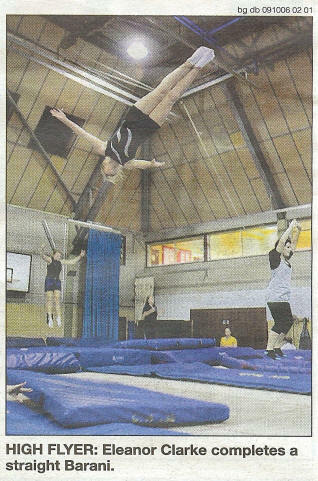 Brentwood Trampoline Club is based in Brentwood School and. holds various classes for youngsters with Olympic ambitions and luckily one for oldies (over 16s) like myself who want to have fun while keeping fit. And the class certainly had me sweating quick time! Trampolining is a sport where it is easy to make progress from the beginning so you can feel you are achieving something straight away. But despite learning about exotic sounding ‘swivel hips’ and various ‘seat drops’ the most exciting thing was just bouncing up and down. I defy anyone to bounce on a trampoline and not start laughing like a child. It is the most fun you can have while exercising at the same time and believe it or not trampolining is one of the best forms of exercise. Just jumping up and down exercises and strengthens every muscle, organ and cell in your body and it enhances co-ordination, strength, flexibility, timing and balance. According to NASA scientists bouncing on a trampoline is 68 per cent more effective than jogging. David Beckham and Wayne Rooney were both seen on mini-trampolines during fitness sessions for the last World Cup. 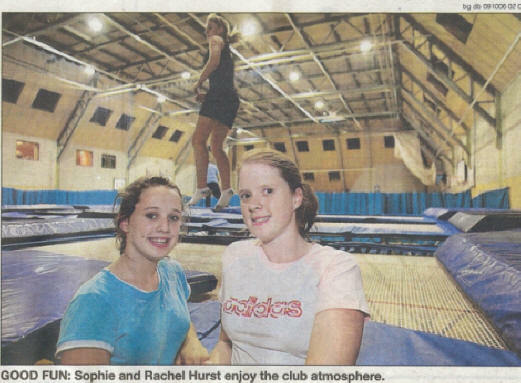 Brentwood Trampoline Club has been in existence since the 1980s, has gone from strength to strength and has many children who could be in line for star performances at the next Olympics. It is also one of the few clubs that gives older people the chance to use the equipment for fun. The classes are pay-as-you-go and cost £5 for a 90-minute session.